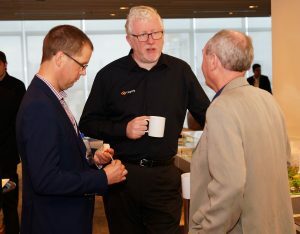 Our CTO Andrew Caruth and Principal Account Manager, Patrick Cullen, travelled to the Malaysian capital as part of a group of nine leading-edge technology companies from across the UK and all were given the opportunity to pitch their technology to leading executives and business unit leaders at Telekom Malaysia. 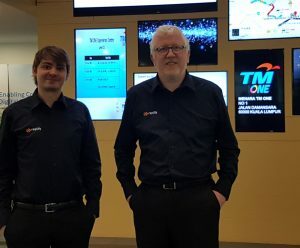 The Telekom Malaysia team were extremely impressed by Replify’s WAN Optimization solution and in particular how it fitted into the brave new world of Digital Transformation and SD-WAN. The second day of the mission included similar pitching sessions at CIMB Bank, Sime Darby Ramsay Healthcare and the Malaysia Oil and Gas Services Company (MOGSC). The mission concluded with a specially hosted event at the British High Commissioners resident in Kuala Lumpur where leading Malaysian industrialists networked with the UK companies. Following his return to the UK, Andrew commented on what he thought had been an extremely valuable trip. Our many years of experience in WAN optimization and network topologies have gone into delivering the very best software-only solution on the market. Why not get in touch for more information?